1993-2016 - Attendance at the Georgia Dome. The Atlanta Falcons announced today the completion of a conceptual design of the new Atlanta stadium and plans to immediately move into the schematic design phase of the project. 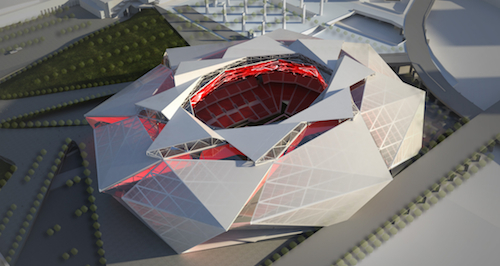 These actions follow conceptual design approval today by the Georgia World Congress Center Board of Governors, as required by the new stadium memorandum of understanding. The conceptual design is intended to begin to define stadium configuration, scale and relationship of the project components. The schematic design phase of the project will further develop the conceptual design. "The conceptual design phase of the new stadium project has been a dynamic, interactive and collaborative process," Falcons President & CEO Rich McKay said. "Our discussions and decisions have focused on creating an iconic asset for the city and state, a great game day experience for our fans and attendees of other events that will be held in the new stadium, and a connection with the surrounding communities. We look forward to moving into the more detailed design phase with our great partners at 360 Architecture and their recently-selected joint venture partners." 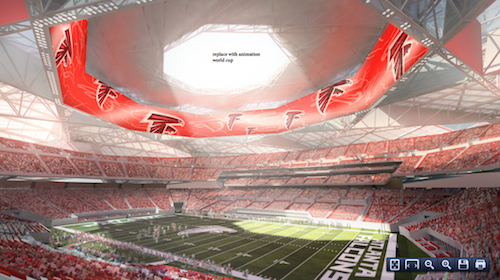 On June 14, the Falcons announced that three Atlanta architecture firms were selected to partner with lead architect 360 Architecture. The three firms � Goode Van Slyke Architecture (GVSA), Stanley Beaman & Sears, and tvsdesign � will contribute to the stadium design in a number of areas while also lending their knowledge of downtown Atlanta including the area surrounding the new stadium. 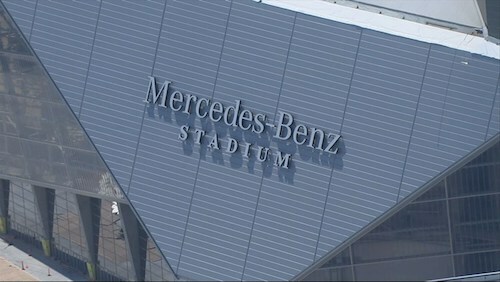 Conceptual design renderings can be viewed on www.newatlantastadium.com. Also today, the Falcons introduced its team of general contractors, led by Atlanta-based Holder Construction Company. Holder is the managing partner of a joint venture first formed with Hunt Construction Group as part of the bid process, and recently expanded to include H.J. Russell & Company and C.D. Moody Construction Company. � "This joint venture is a strong combination, as proven by the group's collective work history," McKay said. � Holder, Hunt and Moody have worked together continuously for the last nine years completing Atlanta's largest commercial project, the International Terminal at Hartsfield-Jackson Atlanta International Airport. Holder and Russell's history working together dates back to 1969, and Holder and Russell have worked with C.D. Moody for more than 25 years. Currently, Russell, Moody and Holder are beginning construction of the National Center for Civil and Human Rights in downtown Atlanta. Atlanta-based Holder Construction Company has 53 years of proven success in the Atlanta market. Holder has ranked as Atlanta's largest commercial contractor for nine consecutive years, completing significant local and national projects for Fortune 500 clients and leading institutions including Coca-Cola, Cox Enterprises, FedEx and Microsoft. "We are very excited for the opportunity to work with the Atlanta Falcons and their partners, the City of Atlanta and the State of Georgia, on the construction of this iconic state-of-the-art sporting and entertainment venue," said Tommy Holder, CEO of Holder. "We look forward to working with Atlanta's local, minority and women contractors to deliver this landmark facility. This project represents a great opportunity to move our city and state forward with thousands of new construction jobs." Hunt Construction Group has been ranked by Engineering News-Record as the #1 Sports Builder for three years running. Hunt has constructed 90 stadiums and arenas, including 12 NFL stadiums and six of the nine retractable roof stadiums in the U.S. Marlins Park in Miami, built by Hunt, recently became the first LEED Certified (Gold) retractable roof stadium in the world. "We are proud to be part of the new Atlanta stadium project, working with our valued partners Holder, Russell and Moody, to deliver what will be the most transformative stadium in the United States with the ability to adapt to all venue uses while maximizing the fan experience," said Bob Hunt, CEO of Hunt Construction. "We will work hard to have the stadium built by residents of the Atlanta area, with a particular focus on the people in the neighborhoods near the stadium." H.J. Russell & Company is one of the largest minority-owned real estate and construction firms in the United States. A multi-faceted organization focused on delivering an exceptional customer experience, they develop, design/build, renovate and manage projects in a wide variety of markets. Commenting on the firm's selection, H.J. Russell Chief Executive Officer Michael Russell said, "H.J. Russell & Company is honored to be part of the team that will build this iconic and important structure in Atlanta's history. We look forward to working with our joint venture partners, the Atlanta Falcons and other stakeholders to bring this project to a reality for our community." C.D. Moody Construction Company is a recognized leader in the construction industry, delivering quality projects since 1988. The firm is recognized as one of Atlanta's Top 25 Commercial Contractors by the Atlanta Business Chronicle and ranked as one of Atlanta's Top 100 Private Companies. They have also received recognition as a leading business from Black Enterprise Magazine. "We are honored to be part of the construction management team that will build the new outstanding Atlanta stadium, and I am proud to continue to work with my fellow teammates of Holder, Hunt and H.J. Russell," said C.D. Moody CEO Dave Moody. "To know we will employ many people from the area, and to see other companies get a chance to live their dreams as I have, is very special to C.D. Moody Construction Company and my teammates." H.J. Russell & Company and C.D. Moody Construction Company were selected for the joint venture based on their extensive experience and knowledge of the Atlanta market, experience in large joint ventures, and relationships with local and national minority contractors. Both firms are leading contractors locally and nationally with relevant experience and proven expertise on similar large, complex projects. "Having completed dozens of projects together, we have built the mutual trust, respect and understanding of each other's firms that is the foundation of our project success," Holder noted. 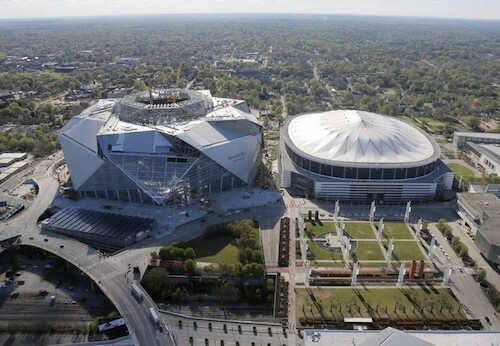 Construction of the new Atlanta stadium is expected to commence in the first half of 2014. Between now and that time, the general contractor team will be integrated into the design process to facilitate in areas including planning, development, budgeting, permitting and scheduling.